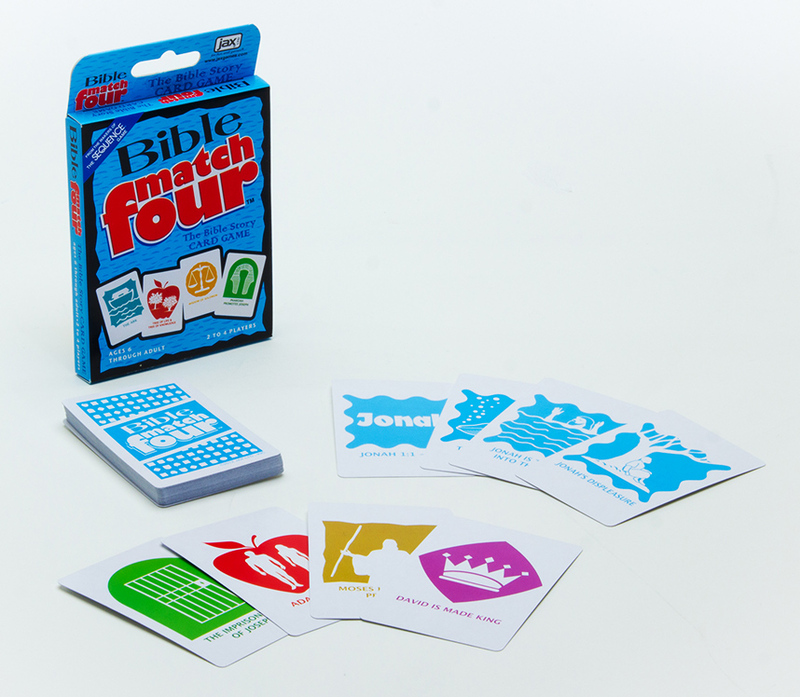 In BIBLE MATCH FOUR,™ there are eight Bible stories, each consisting of 4 different pictures and scripture references. Color-coded pictures help for faster recognition of each card group. Players draw or swap cards to try and be the first to collect all four cards from one story and win the game!